You guys wanted Security? You got him. Let the Wild Mass Guessing begin. Oh, yeah. BUt still, wow, they know each other. And he keeps calling him ‘Guardian’ hmmm…. I woner if that has to do with him ability to pop in and out of places at will? Probably some generic outwordly entity with great cosmical powers. At least we now know for sure he isn’t just here as a running gag. What proof do you have? I mean, he has never traveled through time (that we know of), he hasn’t died even once (and if he died, he came back looking the same), he has no TARDIS that we know of… So far he’s just a guy who can teleport and doesn’t age. Even the Jumper theory is stronger than the Time Lord theory. :P Don’t be such a kill-joy alright? Hum… well at least now we know Security doesn’t age…and apparently is cocky enough to be rude to senior Garrot. I wonder how they know each other so well. When you have reality-bending powers you can be as cocky as you want. Well, if he ‘guards’ people, then he’s not likely to guard Sedrick anymore, hmmm? This seems a bad thing for Sedrick. I think he’s more like a universal guardian. Someone who “guards” everybody. So, in this sace, he’d guard people from Sedrick. Though I think Security likes to do things more subtlely. He has that kind of air. SECURITY HAS FULLY OPENED HIS EYES FOR THE FIRST TIME! All his apparence, if I recalled correctly thus so far, has him showing “foxy” eyes. Heh. Also, all of his apparence seems to have been around the members of the Garrot family and the castle. Not really. Hncef has seen him in many places around the world, sometimes in more than one place at once. Actually, his first appearance (4.Airport) showed him with his eyes open. I have to say this is my favorite picture of security yet! he looks yummy with that slightly bewildered look. Security is a generic outwordly entity with great cosmical powers who goes around watching everything that hapens and sometimes using his powers to make sure things go well. Kinda like an Author from Phoenix Reece’s stories, but with less fourth-wall-breaking. Security is a man, nothing alien. He does have some special abilities to travel in space and time however. Oh, I didn’t mean outwordly like in “from another planet.” I meant he is some kind of supernatural entity. I think someone said something about being a “demon” or something? Well, I don’t think he’s a demon, but I don’t think he’s human either. 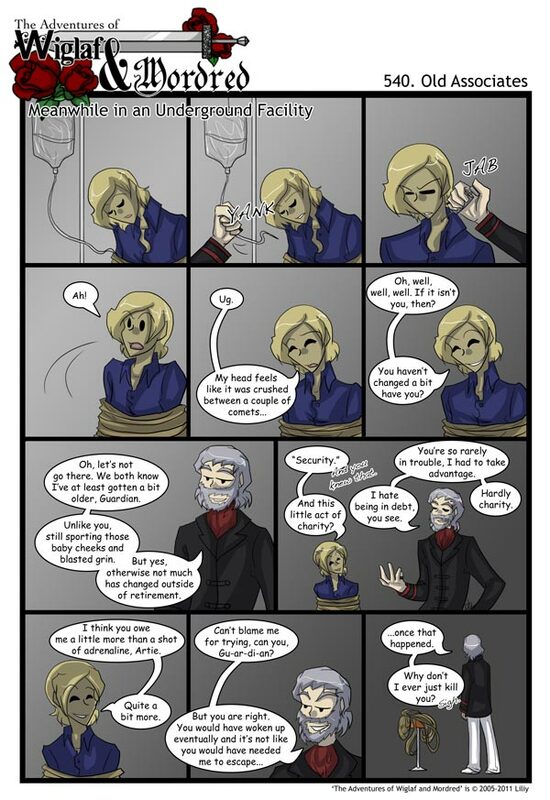 And have in mind that his life doesn’t revolve aroudn the Garrot family. Hncef has seen him in many places all over the world, remember? Securitie’s current mode of transport does not involve any supernatural powers. His mode of travel is known to me, unless Liliy changes it of course. Being Dad has its privileges. wow. just that one link from Tropes, and I manage to kill half an hour. Who needs sleep when you can theorize about Security? Security’s eyes are open! Shock and horror! I don’t think so. Merlin gets younger as time passes by, while Security doesn’t age/ages very very slowly. Always wondered how that works. Does he reach a set age (maybe about twenty?) and then start to age again or does he go right back to squalling 2-minute-old baby? That was a very interesting conversation. I’d almost hate to know more. I quite like the intrigue. Don’t worry, Lilly is too much of a good writer to reveal all about him at once. I bet we have at least two more years before we find out anything about who he really is. My life has just been made complete. This…this single page has just..made my life. Also, woah. first time security’s eyes have been open since WaM #4!!!!!! Even if it was only for a moment!!! I dont think that the security in WaM #4 is Security, but just a normal airport security. No, that was him. XD He’s come a long way. Yep, Word Of God says it was him. My theory is that he’s a family guardian. Like, a demon or something that was bound to serve the family. That would kind of explain why he’s always hanging around them, why he and Mr. Garrott are on a first name basis and why he apparently doesn’t age. Don’t feed the epileptic trees! My, Liliy has really found a way to hook us all in, now, hasn’t she? After finding the comic (I think I saw the page when Bliss was first revealed, which was also when I came in) I couldn’t stop reading. I only stopped once, the first time I reached the final page, just because I wanted the new pages to bulk up so I could read them all at once. I couldn’t last a month. His life doesn’t limit to stalking the Garrotts. Hncef has seen him in several places around the world, sometimes at many places at once. Sure, he could be watching, say, Janus at one moment, but the next seond he was watching the Campbells playing tennis on the other side of the world. Or watching the sun rise somewhere. Or watching you reading about him. Maybe he’s right out there. Maybe he’s right behind you. Maybe you should turn around. Like, about now. Maybe. TURN AROUND. I just freaked a bit and my back’s against a wall now. I think I can place a safe bet that Liliy had at least a bit of inspiration from this character. Seems to me that Security just is a pro ninja – like BATMAN!! I’d say that Security is meant to be Mr Garrot’s very own Wiglaf-who possibly played a crucial part in the villain’s retirement, most likely through the same relentless good cheer/water wearing at the rock technique that Wiglaf is currently using on Mordred and company.